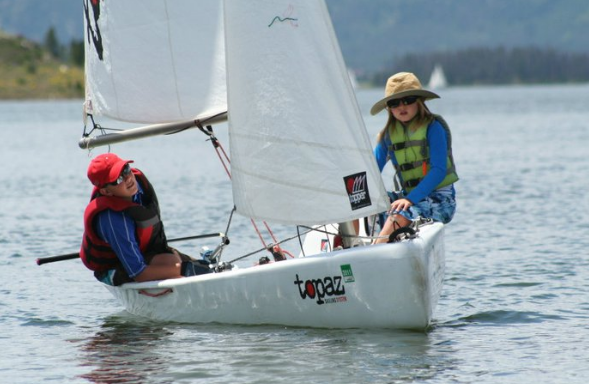 Making Junior Sailing More Inclusive - And Fun! Making Junior Sailing More Inclusive – And More Fun! Lets talk about expanding junior sailing to be more inclusive. We’re doing a good job of including more kids by gender and we’re starting to include more kids by skin color and economic background. What we’re going to talk about today is broadening the attractiveness of sailing to include more kids, all kids who just want to have more fun and thrill than we normally offer. Let’s look at why it’s important to expand sailing programs beyond racing. Let’s learn lessons from others similar sports and let’s look at including adventure sailing to you’re sailing program to inspire more kids. Let’s look a US Sailing mission statement, to provide leadership integrity and advancement for the sport of sailing. US Sailing sets the course enabling sailors to enjoy the sport for a lifetime. It is not US sailing’s mission just to create champion sailors, and I suspect the mission tatement of you’re junior program whether Yacht Club, community programmer camp is similar. It’s to give the passion for sailing. Oh and by the way, if you give other kids the fun and the passion, they may just turn out to be those champion sailors down the road. Let’s talk about the big elephant in the room the decline in sailing participation since I was a kid. Nick Kase in his excellent book ‘Saving Sailing’ reported the number sailors in the US dropping from 12.5 million to 2.6 million. Google searches that had anything to do with sailing dropped 40 % from 2004 to 2012 meanwhile other sports snow sports, surfing. skateboarding those numbers remain strong. Here’s a study from the French sailing Federation. In 2006, 9 to 14 year olds represented by far the biggest proportion of participant’s. However, their commitment to sailing is a major problem for both the Federation and its clubs. Fifteen to 20 year olds represents only 13 %. The quality and attractiveness of children participation in our sailing schools determines their participation later. Without a doubt the experience of sailing we offer kids in our success in instilling the passion for sailing is the single most important element to the future success of this sport we all love. So how are we doing in the US? Well at ages 7 to 10 we’re doing pretty okay. Many junior programs report strong numbers in this age range. Generally, in that age group it’s the parents signing up junior for sailing, but at ages 11 to 14 programs report a huge dropout rate. Starting at age 11 or so kids start to exert their own choice right. There’s no way I’m signing that girl up for ballet unless she wants to do it. No way I’m signing that kid up for soccer unless she wants to do it. That kid has to want to continue with sailing or she’s out of here. So most sailing programs report a participation curve kind of like this. We lose a ton of potential sailing lifers at something like age 11 to 14. Well most programs offer just one path. We start kids off and give them the basics and then very quickly to fall toward throwing out marks and blowing whistles. We start filling their heads with a book of all these rules and regulations. We moved them from one boat to another as they reach a certain age. At a very young age we start raking them, and not surprisingly many kids get plenty of all this in school. Now racing is fine for lots of kids. I was one of those kids at the top of the results and loved the chess Cape as most of you do. But the bottom line is that racing only appeals to one segment of the population of kids. Sailing has so much more to offer cruising, keel boats, multi holes, wind surfers, speed, and adventure. Sailing has at least as many different attractive alternatives as snow sports, but for most sailing programs it’s like we only offer kids cross country ski racing and just don’t expose them to downhill, snowboarding, half pipe, backcountry, exploring, whatever. Not every kid fits this one mold. Some kids just aren’t into the competition. Some kids are physically the right size to be competitive in the offering of kids’ boats. Some kids just want more thrills, so without offering more we end up with participation kind of like this. We can learn a whole lot from snow sports. They’re completely opposite, and of course they know their numbers really well, because they can scan your lift ticket. The bottom line is that they don’t lose many kids. When you go to snow school it’s all about fun and adventure. You do all these fun activities while learning how to do at it safely, very little focus on competition nowadays. As you progress you expand the adventure to different parts to the mountain and gain more and more independence. It’s cool, there’s action, there’s speed, there’s hanging with your bros, there’s color, there’s adventure. Nowadays that’s very rare. As kids progress, they see who naturally gravitates towards competition and then show them the path. The fact is out of 17.5 million snow sports participants. Less than 1 % ever competes. Snow sports welcome the whole pie and then allow different slices to fine their own passion. As a sport sailing makes the mistake of right away pushing kids towards one slice of pie, that one competition format. Look at these other popular sports skateboarding, wakeboarding, and the new craze stand up paddling, it’s all about being on the water and the adventure. A very small percentage cares about racing. What’s common to all the sports that kids love, first off, most kids are very attracted to board sports for the thrill, and guess what, sailing already has two awesome board sports in windsurfing and also kite boarding. In all the sports the freedom and adventure are highly attractive. It’s all about hanging with your buds, variety of terrain, exploring are super important. These kids would get bored to tears doing woodward lewers again and again every day. Fast is fun, and the equipment is just flat-out fun to ride. Fashion, color, image is more important to kids then we think. IncompetenI [9:00] again in all these sports less than one percent ever compete, and look at windsurfing and kite boarding for a second. You go to places like San Francisco, the Outer Banks, Miami, the gorge, Hawaii etc, etc, and you see tons of sailors windsurfing and kite boarding. Worldwide the number sailors who Wind surf or kite board is huge, and what do you know, less than 1 % percent ever compete so why do so many love these forms of sailing? They have all the same positive attractions as all the other board sports. They are also by far the least expensive forms of sailing. That’s why so many fresh out of college gravity to windsurfing, kite surfing. II’s athletic and fun but it’s also affordable, no hassles, fits in your car. Saint Francis Yacht Club for example has embraced this and offers special memberships for wind surfers and kite boarders and what do you know, they’re attracting a younger crowd. We need to welcome this. In other countries, wind surfing for instance is an integral part of junior sailing programs. In this country we’re just starting to catch up. I worry that Yacht Club sailing programs only ever glorified the 3 to 5 % of kids that popped out with the trophy and we completely ignored the 95 % who could be lifetime boaters. I believe we should expose kids to boating on all sorts of craft. Not wash them out if they don’t compete. That comes from John Hombebring, America’s Cup legend from the Virgin Islands, so if you look at most programs you have all these kids getting introduced to sailing and then we’re left with a small percentage of kids who are into racing; those are the ones at the top of the pyramid. Ironically it’s often the case that ninety percent of the program’s resources, new boats, elite coaches, travel cost, etc go to just 10 or maybe 30 % of the kids at most. This is great job security for all the boat builders, boat dealers and elite race coaches. It may massage the egos of some parents, but really shouldn’t we be investing in low-cost fun alternatives to inspire kids for sailing? One of the best takeaways from the Sailing Leadership Forum is new realization that actually our best instructors should be with the new kids, the bottom of the pyramid. The new kids are the one who we want to inspire the most. They should have the best coaches with the best attitude. So in most junior sailing programs we do two things: we push them towards racing and we teach them in gear design more than 50 years ago. Let’s talk about that for a second. Adults have all this cool stuff foiling moss, windsurfing, planing sport boats, kite boarding, but how do we introduce sailing to kids? Kids have all this modern technology. What 12 year-old do you know doesn’t have a smart phone, but the truth is we introduce sailing to most kids with typewriters. When you go to ski school, they’re not giving you ten foot wooden skis. You’re not lacing up heavy leather boots in tying them on. No way, you got to ask. Do kids take out the boat in your program just to go have fun? What did Ken Reid say at the Sailing Leadership Forum? He finds it amazing that kids have all this modern technology at their fingertips, and yet we introduce kids in boats designed in the nineteen forties. Are we breaking into the modern age? Are we keeping kids involved because we’re showing them the best, and the coolest, and the latest? So many programs are realizing that they need to offer more than just racing to inspire kids for sailing. Again no one is saying you should scrap your racing program, but some programs are now successfully offering parallel adventure programs that focus more on fun seamanship and variety, and you know what their reporting that their dropout rates are going down. Joe from Annapolis Yacht Club for instance presented at the Leadership Forum their adventure program which runs alongside their active race program. 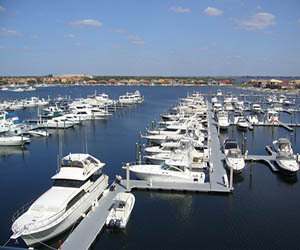 Kids get a chance to find their passion in a whole variety of boats. Annapolis Yacht Club has 7 open pics, 6 stand up paddleboards and 4 wind surfers. On a given day the kids sometimes use 4 20’s they are also fortunate to have access to Jay twenty-two’s so the kids sometimes use 420s. They are also fortunate to have access to J22s so the kids would get that experience as well. Joel reports that his adventure program is growing, and now they will offer additional adventure class in the afternoon for the older kids focusing on keel boats, because in Annapolis is notoriously challenge for Breeze in the summer, the stand-up paddleboards get a lot of use. Annapolis Yacht Club is also fortunate to have engage members who volunteer to take the adventure kids out on borrowed big boats. You can pack a lot of kids onto a far Ford far 40. It wouldn’t be an adventure if you didn’t explore other parts of Chesapeake Bay and because they are often crippled with zero wind they sometimes take power boats and even offer fishing. It’s important to maximize the assets you may already have in your program. Does someone have a big boat? Can the adventure kids use the fleet that adults use for team racing – with instructor supervision of course? Is there a pack of sun fish sitting dormant on lawns around your Lake? It’s also important to maximize your venue. It’s criminal if you have a program on Cape Cod for instance and your kids never sail out of your little bay. Explore – you might just inspire the next Joshua Slocum. At our home program at the Vineyard Haven, we call the adventure program ‘The Reachers’. Like Annapolis and others, the kids get a chance to do it all. Kids find their own passion, and we’ve had such demand in windsurfing for instance, that we’ve expanded now to add dedicating wind surfing classes in both morning and afternoon in addition to the reachers, and we now have a full time wind surfing coach, so you can see because there’s the demand we have reachers and in windsurfing parallel to our normal oppty 4, 20 program in both mornings and afternoons, and our program is buzzing with excitement. We have kids who do oppties in the morning and reachers in the afternoons. We have kids who wind surf in the morning and so race team in the afternoon. We have kids signing up for extra opportunities, because we offer them and because they’re fun. Now that we offer more exciting programming the measure of success is our attrition rate is going down. We even have kids who have quit optties, this was before we had an adventure program, and only play tennis at our club. Some of these kids have now come back to sailing in our reachers and wind surf program. That’s what they find attractive, and what’s also cool is to see graduates from reacher and winning now moving on to our rate for twenty racers. I’m sure you had those kids who are new to sailing as a young teenager. It rarely works to put them in a traditional class when younger kids sail circles around them. Now with our reachers and wind surf programs these kids can now find their fun. This slide isn’t to make you cross-eyed; it’s to illustrate that kids have the ability to move to different offerings to suit their passion and ability. In the course of their junior career we have kids who started oppties then moved to reachers, windsurfing and then moved to 4, 20’s, and every combination imaginable. It’s all good. This just illustrates the approximate age ranges noting that reachers a wind surfers span a larger age range. The kids are engaged because they get to sail all these cool different boats, but the readers also take advantage of our venue, our harbour while the racers are practicing laps up and down, the reachers navigates the fairy [18:25] as sail over to a beach across the bay for a snack. They sail under the drawbridge and up the lagoon in waters they’ve never seen before. They sail through a narrow channel into the inner harbor negotiate all the more boats and go get ice cream at Mad Martha’s, and they’re learning all these boat handling and navigational skills without even realizing it, and they’re going on an adventure. They also do other fun stuff. There’s of course the pirate days, and the pudding eating contest which is a great source of amusement for all involved. Check back soon for more or drop us a line with your ideas and projects that help encourage kids to enjoy the joys of sailing. Theme: Daniela by Christopher Crouch.